The Libertarian Alliance was established in 1979. 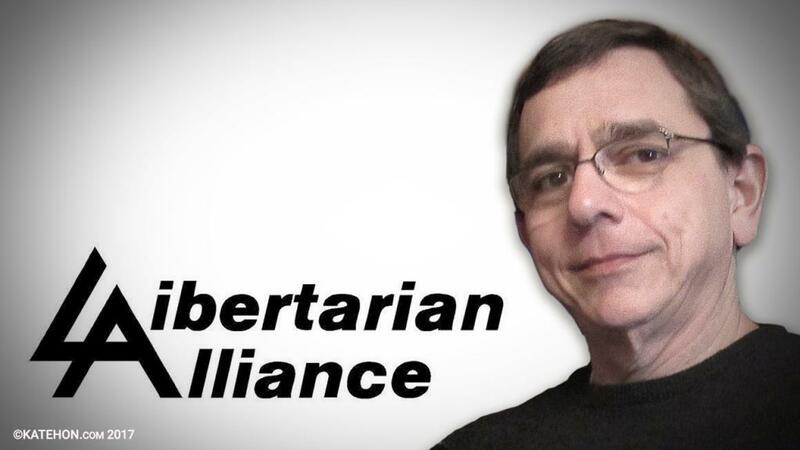 The founded members of the organization included Chris Tame who is sadly no longer with us, his ex wife Judy Englander, not yet his wife at that time, David Ramsey Steele and David Davis who is still with us and who is still be a member of the Libertarian Alliance committee. I did not join the Libertarian Alliance until after it was established. I joined on the last Sunday in December 1979 when, by chance,when I walked into the alternative bookshop which at that time Chris Tame was running. So, that explains when the Libertarian Alliance was set up, it also explains how I became involved with it. What is the Libertarian Alliance?Maybe it can be best explained by talking about its general historical roots. Started in the 1881 the Liberty and PropertyDefense League was established in England. They were very distinguished and did very well founded organization. It was set up to oppose what its founders saw has the increasingly socialist trend of British legislation after about the 1870. The 1870's had seen a great increase in the volume of the legislation and much of the legislation covered things like the regulation of food, the establishment of minimumstandards for buildings in England. There were attempts atworkmen’s compensation in the factories, there was also a more comprehensive factories act to regulate hours of work and conditions of work in the manufacturing regions of the country. Many people saw this as movements in the direction of a far less liberal and much more socialist country. Andso, as I said the Liberty and Property Defense League was set up to oppose all attempts at a more socialist order in my country. During the next 30 years the Liberty and PropertyDefense League spent what in today's money would be hundreds of millions of pounds, thousands of speeches would given up to them at country, thousands of pamphlets were published, many entire books were published. Pressure was applied to candidates in parliament elections asking them to support the established order of liberalism. The Liberty and Proper Defense League had some success. However, it was very much against the spirit of the age, which was undoubtedly tending in a more socialist and more collectivist direction. And certainly by 1914 the organization was not only indecline but it was effectivelymoribund. The organization died in 1914, but that does not mean that liberal organizations came to end in England. Various officers of the Liberty and PropertyDefense League set up otherorganization in 1920's and 1930's and these continued to operate until the late 1940's when the Society for Individual Freedom was formed and the Libertarian Alliance began as a kind of breakaway faction from the Society for Individual Freedom.And so, we do stand in a kind of apostolic succession.The Liberty and PropertyDefense League begetvarious other organizations whichbeget the Libertarian Alliance, and I have no doubt that the Libertarian Alliance in its turn will beget further organizations. That tells you something about the history and the personality of this organization. The question is what does the Libertarian Alliance stand for and what is libertarianism in a particular British context. And my answer would be that the history of England is in a peculiar degree the history of modern liberalism. I know that many foreigners regard libertarianism and its general doctrine, which is a part of liberalism, to be an ahistoric and an alien intrusion into their own set of traditions. It may be indeed the case In countries like Russia. But in England libertarianism is part of our history; liberalism in part of our history.There has always been some willingness by the authorities to recognize the personal freedoms of ordinary people, there has always been some recognition of property rights, there has always been some recognition by the authorities that ordinary people have the rights to be consulted on how they are governed and, perhaps what is more important of that, the right not to be interfered with beyond what is absolutely necessary for the maintenance of national defense and public order. It is a concern with the rights and freedoms of ordinary people that explains the rather troubled history of England in the 17th century. At least, in times of Civil War the trials and execution of a king, the restoration of the monarchy with a much more limited constitution, a revolution, second revolution, in which a crowned king was driven out and replaced by parliament with his daughter and his son-in-law, who then reigned as our new king and queen. The long18th century, in which the entire established order was unusually concerned with the rights and liberties of Englishman. And if you travel across the Atlantic to America, the 18th century revolution against British rule came about because of, what I think, was a misplaced belief that the British government was interested in abolishing the liberties of the American colonists. It was a misplaced belief; it was a wrong belief. But it was a belief sincerely held by the American colonists. Theyfought for independence from us and once they had achieved the independence, they established a constitutional order which they believed would secure their lives, liberties and properties for an indefinite time. Therefore, liberalism in England and in America and in all other parts of the world settled by England is not an alien intrusion. It is not something imposed on set of nativetraditions. It is the tradition of our countries. And if you want to understand England and America, you must understand the meaning of liberalism – and even the rather corrupted, degraded and twistedkinds of liberalism that you will see in the British and American ruling classes. We are a part of liberal civilization.